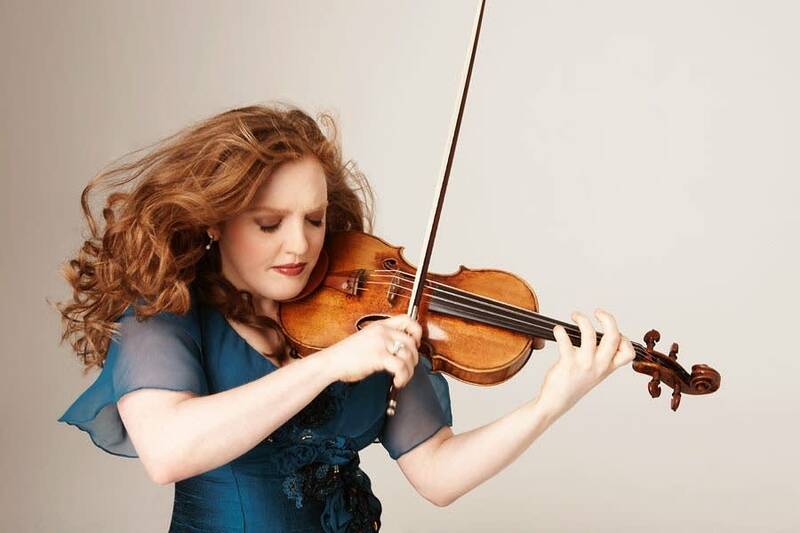 20 years ago, Rachel Barton Pine released a recording of violin concertos from the time of Mozart and Brahms. It featured Afro-European and Afro-Carribean composers. "After my album came out, I started getting inundated with requests by students, parents and teachers, saying, 'Hey, my kid is in Suzuki Book Six. I really want them to learn a piece by a black composer. Where can I find one?' Finally, I realized, 'Well, I've got a foundation, and there's this project that needs to happen and I love music research and music education anyway, so I might as well go for it!'" Her foundation has been researching music by black composers for the past 15 years. They've gathered more than 900 pieces from 350 different composers spanning more than four centuries. They've just released their first volume of curriculum for beginning violinists. 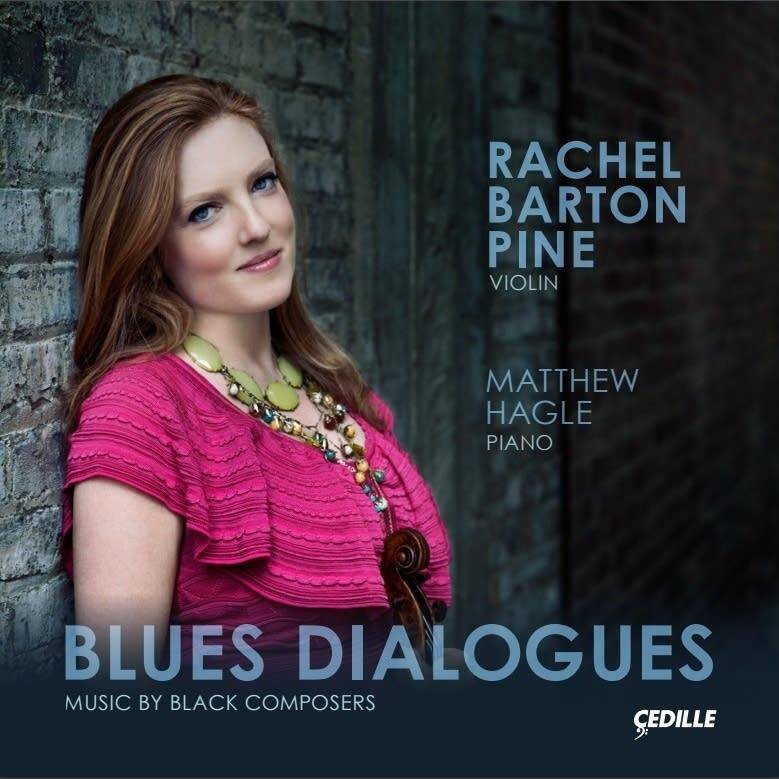 Rachel says her new recording, Blues Dialogues, fits in beautifully with this entire project. "Basically, this CD is a lot of pieces that I've known and loved and performed often over many years  just because I love the music, not because of the background of the composer, per se. I have been wanting to make this album. But I timed it this way because I knew that the curriculum volume was about to be released along with our coloring book of black composers and our timeline poster of black composers and everything that my foundation has been working on." Let's talk about your new recording, which celebrates a lot of this music, called Blues Dialogues. Of course, being from Chicago, it's not unusual that you would be immersed in the blues. Tell me how this got started  where you decided, "There's a way for me to mesh the blues with classical music." "You know, I just was really excited that one day, when I was a teenager and I was in the sheet music shop, I found this piece called Blues, Deliver My Soul by David Baker. Here was a composed piece of classical music that was 12-bar blues-derived, and I thought, 'Oh, my gosh. I've got to learn this thing.' But anything that combines the blues and classical is really, super fun for me as a Chicagoan, that's for sure." The recording is called Blues Dialogues, and that title also is a work written by Dolores White. Tell me about her. "Dolores White is a composer who is from Cleveland. She is married to the late Donald White, cellist, who was the first black member of the Cleveland Orchestra. Her Blues Dialogues had been something I had played around with for many years and so it was great to get to work with her on it and really find out her intentions. And I'm especially pleased that there are a couple of women composers on this album because I think that's so important to make sure that those voices are heard in the mix." This recording features a lot of works that you were introduced to for the first time. Would you talk about some of those works? "I had never before encountered Charles Brown's Song Without Words. That's just absolutely haunting. A gorgeous piece that I was so happy to come across. "There's actually a commission on the album by a great composer from Los Angeles, Billy Childs, whom I had previously worked with on an unaccompanied suite that he wrote for my Bach Partitas project. I asked him to write a piece and he said that he had been really affected by something that had happened in 2016: the killing of Philando Castile. He wrote this amazingly dramatic and moving piece. "His purpose in listening to this piece is to hopefully just make you think. For me, it definitely makes you feel. The emotional journey of it is just very, very deep."